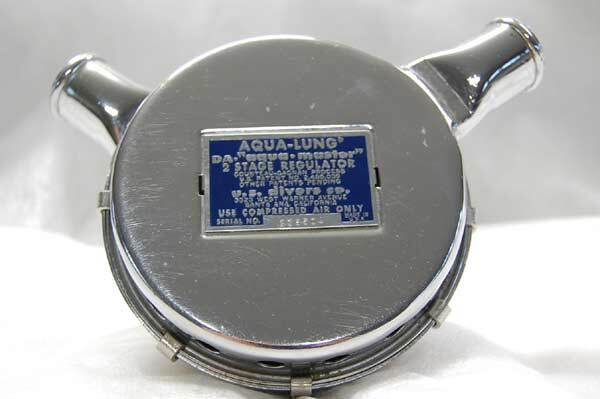 The first regulators to carry the Aqua-Lung label . Two stage, unbalanced upstream regulator without a venturi assist. The DY Aqualung and DA Navy approved are mechanically identical. 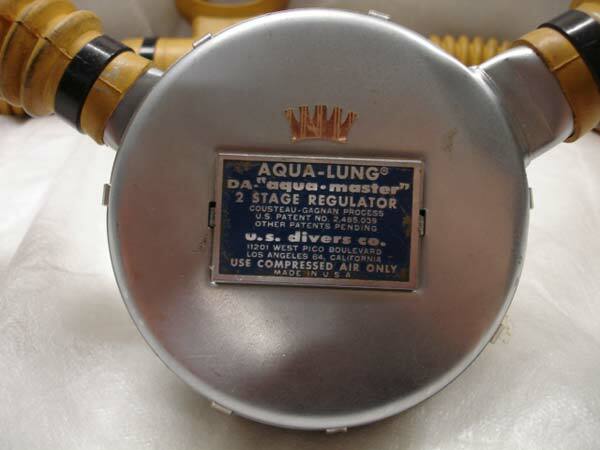 The DY Aqualung featured a one piece hose without check valves, while the DA Navy approved featured the then new three piece hose with check valves to prevent the regulator from becoming flooded. They are fairly difficult to tune regulators with a strong work of breathing. 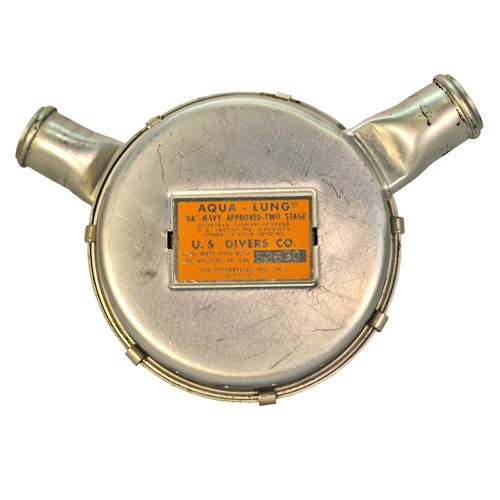 DX Overpressure Breathing – The first of the Gagnan developed single stage regulators. 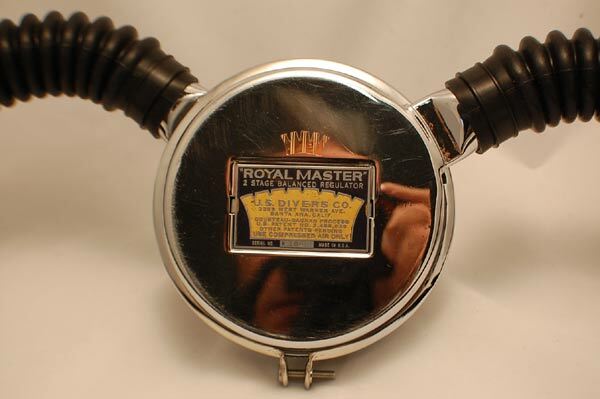 It features a combination of shiny chrome on the label side of the can with a striking yellow riveted label and removable exhaust horn. This was the last regulator those features were used on. 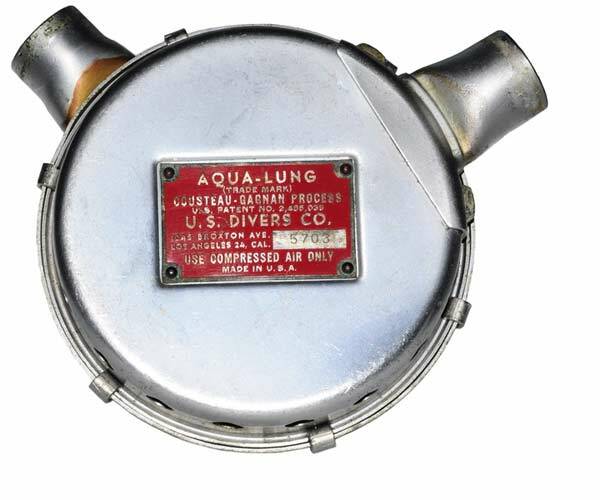 Also unique to this regulator was the hose within a hose design that fed a high volume of air through a small diameter green hoses inside the standard black hose to a specially designed mouthpiece. Very few regulators survive today with this unique feature still intact. 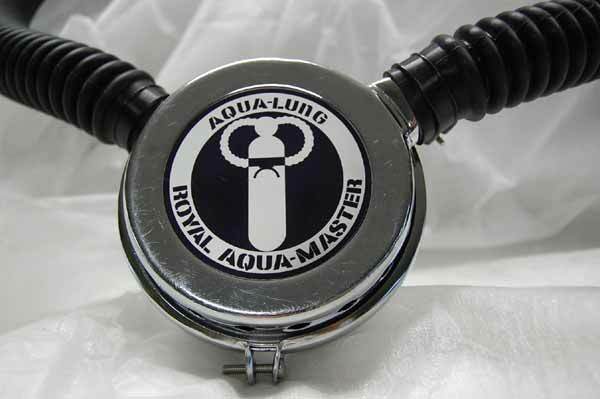 The DA Aqua-Master replaced the DA Navy approved and DY Aqua-Lung both with one regulator. 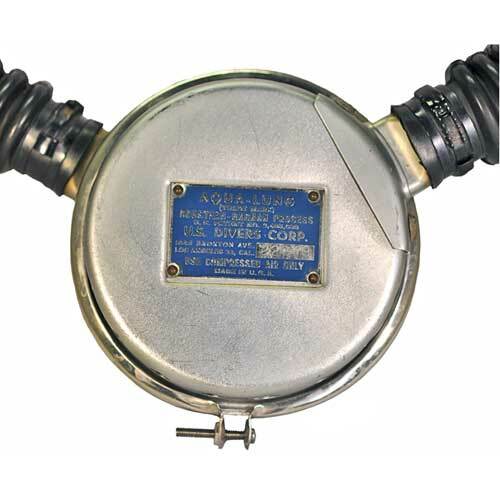 Based upon the original DY Aqualung and DA Navy, the DA Aqua-Master is a two stage, unbalanced upstream regulator with a venturi assist. 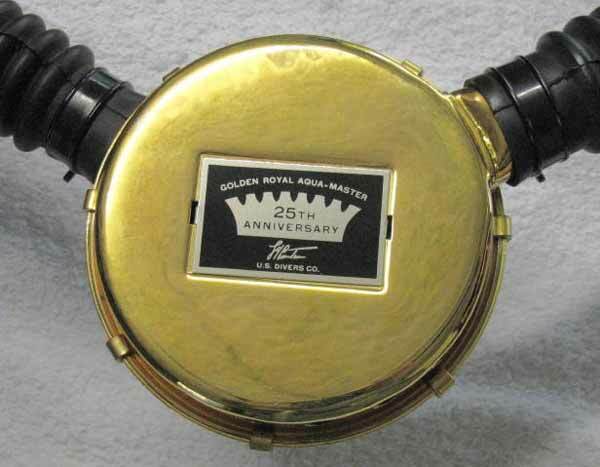 It always came with three pieces hoses in either black or yellow, and has always had check valves in it. 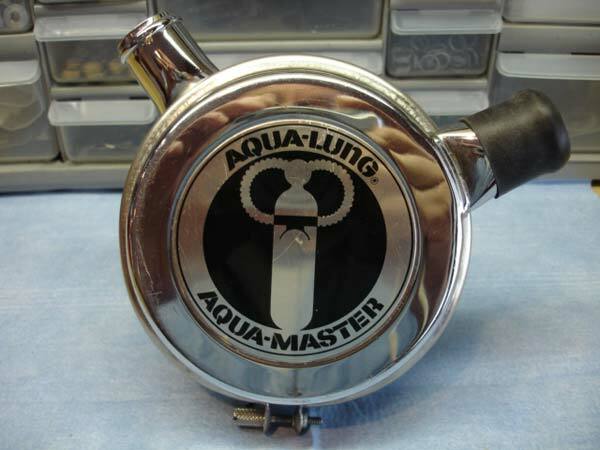 The earliest models did not have a hookah port, as some of them were literally reworked DY aqualung bodies tapped for the DA Aqua-Master second stage. Most models feature a hookah port. 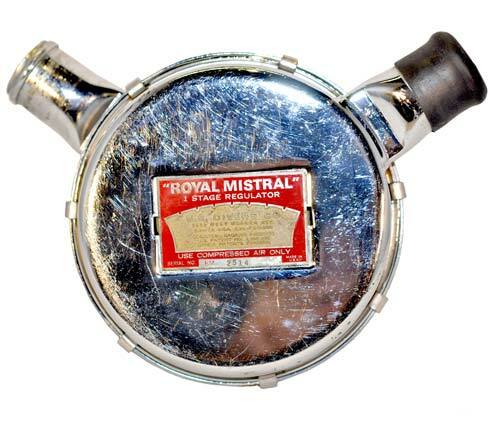 This regulator is fairly easy to tune, and when properly tuned features a wonderfully low work of breathing. This is the two stage workhorse of the Aqua-Lung line. 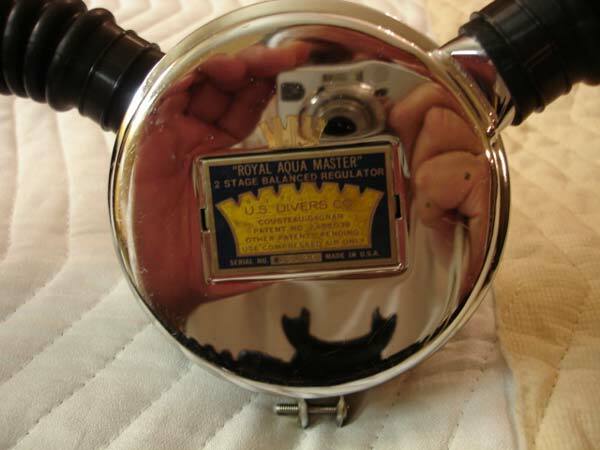 Second of the Gagnan single stage design regulators. 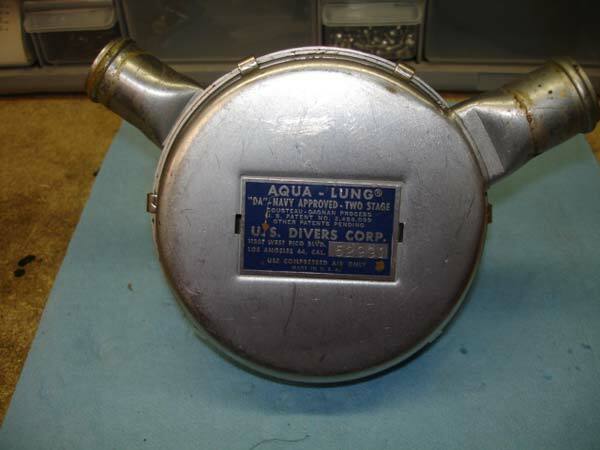 Gone are the flashy chrome can, bright yellow label and hose within a hose system of the DX. The Stream Air features satin finish cans with new red label with tabs attaching it. It features a venturi nozzle for improved breathing. 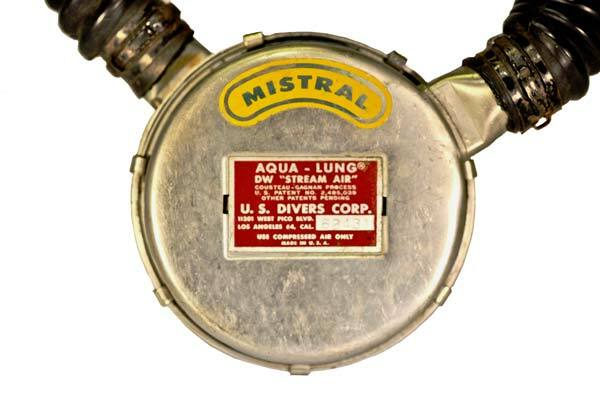 Many of the DW Stream Air regulators were converted by the factory to use the new Mistral venturi nozzle that provided better breathing. 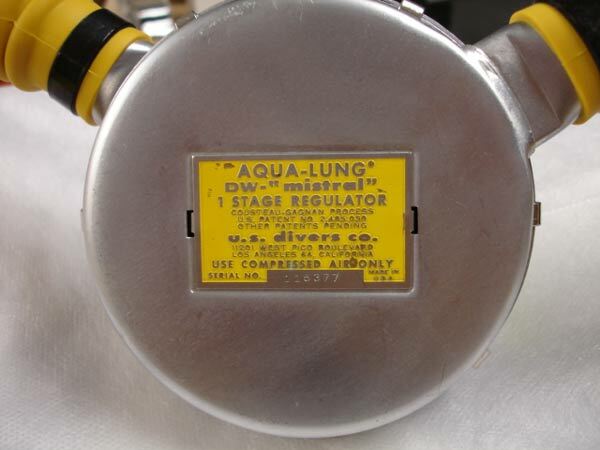 You will see some examples of the DW with both a Stream Air label and a yellow Mistral sticker about it. 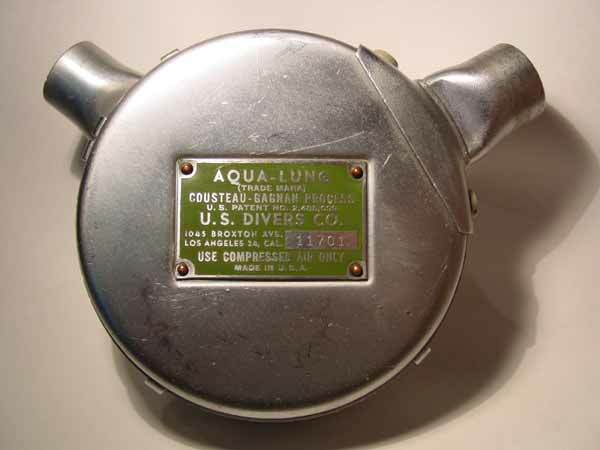 Identical in form to the civilian DA Aqua-Master , the NONMAG was designed for use by military divers that required a regulator with a low magnetic signature. The high pressure seat, second stage poppet, and second stage retainer are all gold plated, as is the nozzle. The regulator is finished in matte black, with zinc and brass underneath the black finish. 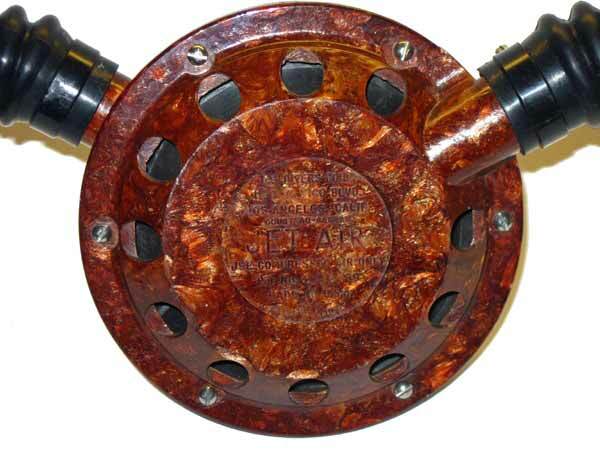 This regulator features a “stubbed” or non-machined hookah port, eliminating a potential failure point. They just as easy breathing as its civilian counterpart, though is a bit harder to maintain in a salt water environment due to its painted finish. 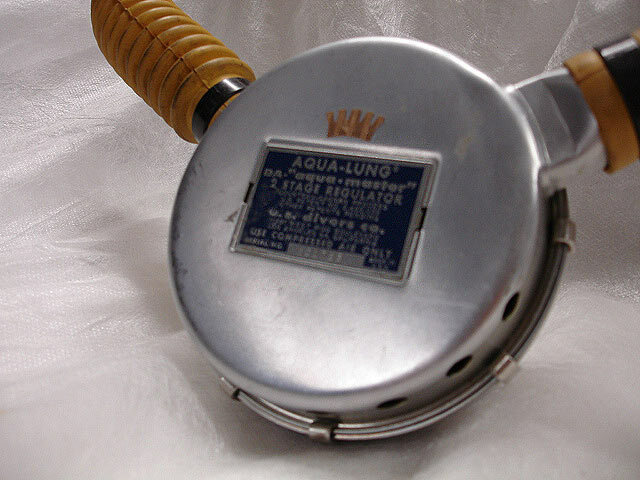 Like the regular DA Aqua-Master, it features a three piece hose. 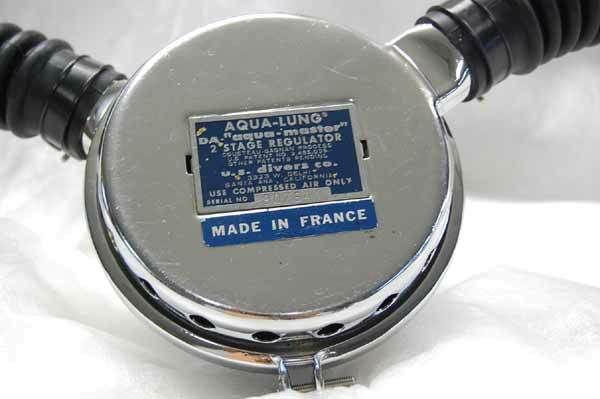 Some later models featured a curved mouthpiece, while early ones featured the straight mouthpiece of the DA Navy and other early aqualung regulators. Internals are the same as the Stream Air but the cases are a molded from phenolic or cycolac plastic as a low cost option in the US Divers line. 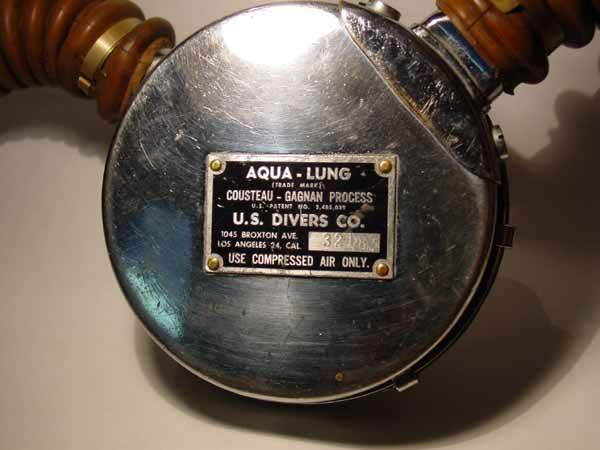 Lightweight, rugged and reliable they were a favorites for diver training or in a dive operators rental program. 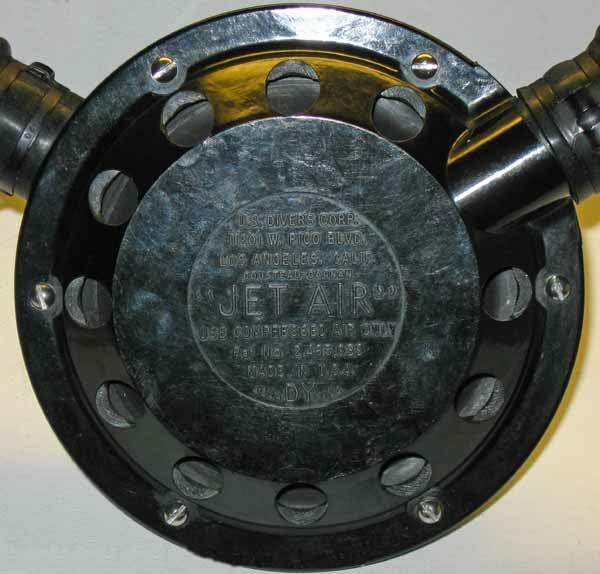 The Jet Air was the last regulator to come outfitted with yellow hoses. The mistral is the fixed blade knife of diving regulators. There are not many pieces to it, it does not do everything perfectly, but what it is designed to do it does extremely well. It is a single stage regulator with only a single o-ring and very few moving parts. It came with yellow or black hoses, and straight or curved mouthpieces. It is a very simple upstream, unbalanced design with a strong venturi assist. Properly tuned, it breathes practically effortlessly at lower tank pressures. 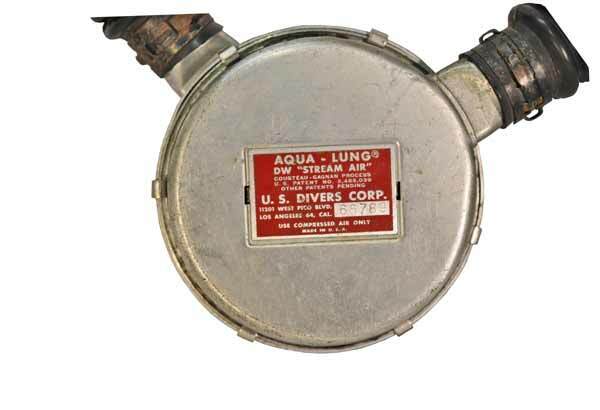 Captain Cousteau and the French Navy loved this regulator, and it served reliably at depths of over 300 feet. The only down side to this regulator is that it breathes a little harder due to its design at high tank pressures. The easiest of all the Aqualung regulators to service. 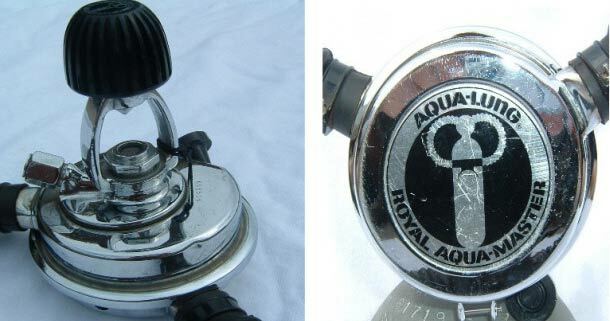 The Cadillac of two hose SCUBA regulators. 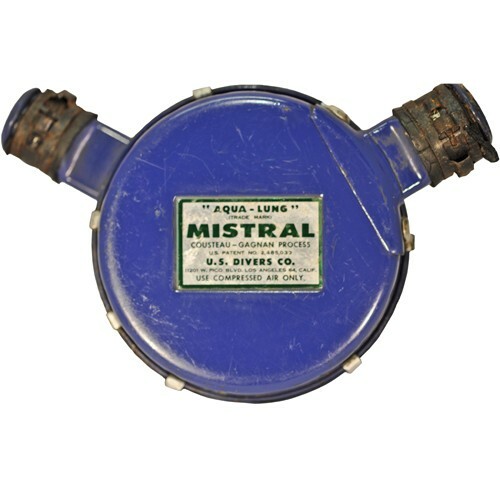 The Royal Aquamaster’s design is the progenitor of every modern balanced diaphragm first stage regulator to date. 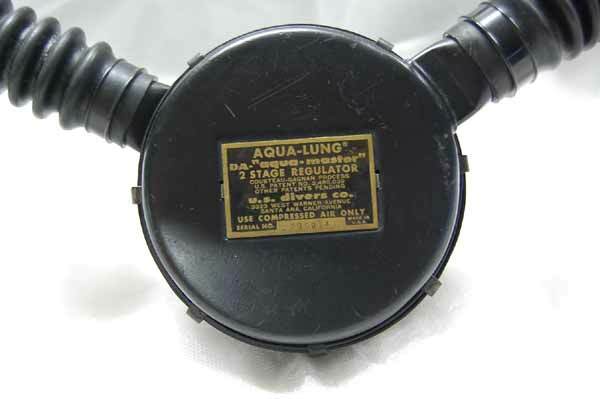 It was so well designed that the same basic seat (with more modern surface material) is used in every modern Aqualung diaphragm regulator. 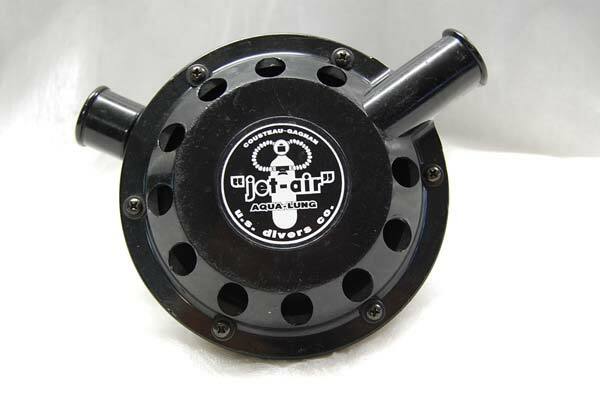 This regulator features two stages, with an upstream balanced diaphragm first stage. 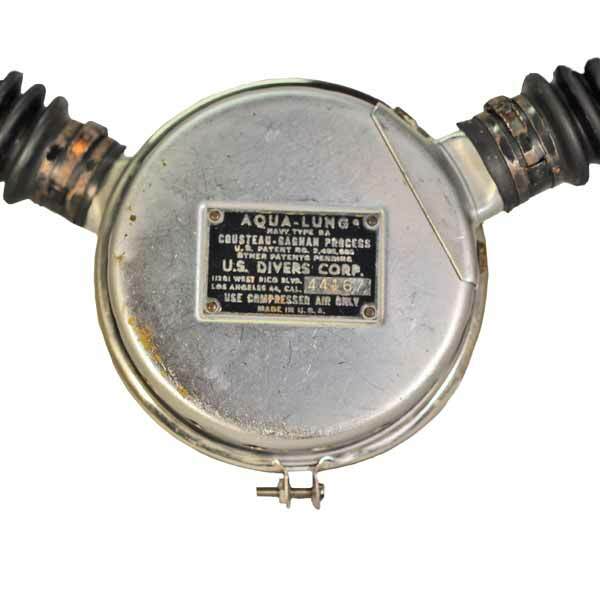 It came with black hoses and a curved mouthpiece, and the later model ones came with a heavier yoke design for the then new aluminum 80 cubic foot SCUBA cylinder. Medium difficulty to service, as tuning one is an acquired skill much like tuning a modern balanced high performance regulator.